United Airlines will be reviewing the procedures for its PetSafe program until May 1. The PetSafe service is for animals in the freight compartment. 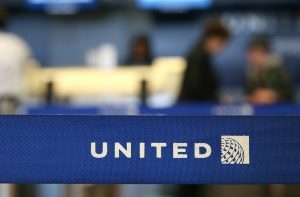 United will also be reconsidering which pets to accept under the PetSafe program and is planning to impose stricter rules on emotional support animals flying in cabins. Customers who want to cancel pets’ travel during the review will be allowed to. The company has been the target of worldwide scorn in recent weeks after the death of a dog and other mishandling of pets. On March 12, a French bulldog died after a flight attendant had the dog and its crate placed in an overhead bin. Shortly after that incident, the airline sent a Kansas-bound German shepherd to Japan. Another dog, bound for Akron, Ohio, was mistakenly loaded onto a flight from Newark to St. Louis. Hobart said the airline wants to ensure that all pets travel safely and without incident. Under recently implemented rules, animals are not allowed in cabins outside carriers without documents certifying that have been trained to behave appropriately in public settings and that they are in good health. The airline has already adopted some new policies meant to ensure that animals are tracked and accounted for at all stages of travel. United has announced a plan to issue brightly colored bag tags to identify in-cabin pets starting in April. The airline has also implemented a new process for loading animals onto planes that involves multiple checks and confirmations before departure.